Workers were again renovating at Bali’s Kuta Square shopping area on Saturday after a third store was damaged by fire. The blaze in a fashion boutique is thought to have been started by a short-circuit and broke out last Thursday. The latest fire casualty is on the same row of shops where two surfing-apparel stores were badly damaged by a blaze in late April. It too is thought to have been caused by an electrical short circuit. People who work in the area say the small stores with low electricity wattage use too many electrical devices, and that this overloading leads to sparks and subsequent fires. 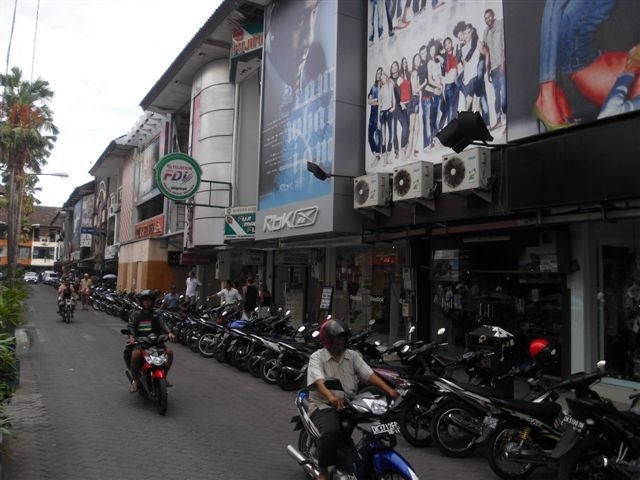 “Some of those shops have three or four air conditioners running, as well as a lot of other devices, and lights,” a parking attendant who works in front of the stores told The Bali Times.